Clothing treated with QUICK DRY Active Protection offers maximum wear comfort for all activities. Through the special fabric structure of the material - body generated moisture and vapour from inside the garment is allowed to quickly escape outward. Garments with this protection offer the highest level of wear comfort for all types of activities. Really high quality arm warmers. Very good for the price. 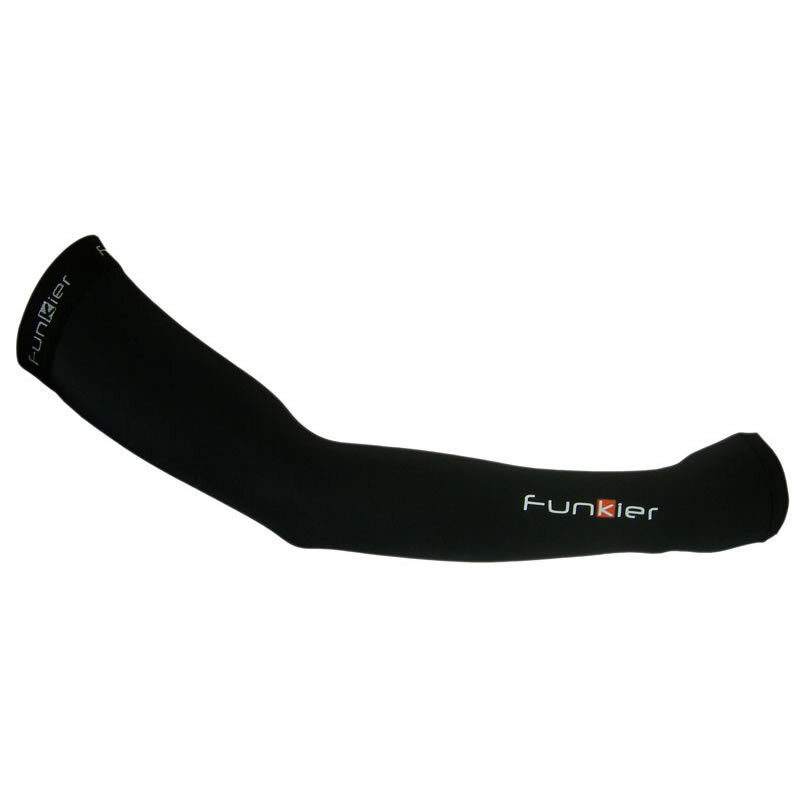 This was my first time buying Funkier brand and they are very well made and look great. They stay up and in place too. Part product information are good and size is correct. Fits well and good quality. 180 cm / 77 kg. The fit is good. I like the fleece lined fabric inside. A friend recommended I try arm and leg warmers as the colder weather started. I was really impressed on first use. Yet again Merlin delivery was exemplary, as was the price. Funkier quality also excellent. Fantastic. I am 5'10 with above average size arms and the mediums fit me great. The elastic seems very heavy duty. Well made and fit great. Nice item very comfortable.I'm 5'8 162lb and small fit me just right. Light, long, warm and they fold up small. I needed these for the cooler autumn months. Works well with the leg warmers too. Kept me nice and warm. Good quality and capacity to keep arms warm and dry. It's a tough balance to find between not cold and too warm but these have been just what I was looking for. Good quality, comfortable, and no slipping down. I've been on rides of about 5 degrees celsius and these were just right for me with a short sleeve jersey. If you are somebody who particularly feels the cold you will want extra layers or thicker warmers. Not ridden in the rain yet. Great purchase for the money and I think they do look pretty good too. excelent,product was good and so was the size, size fitted well, also excellent service and delivery.